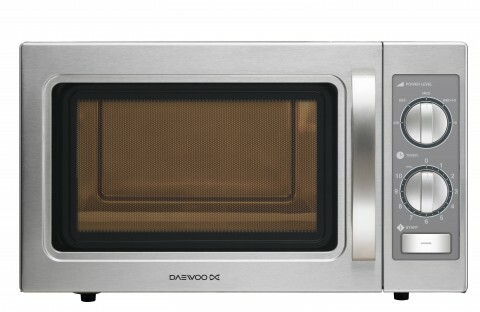 The stand out feature in the specification for the Daewoo KOM9M11S 1100w Light Duty Manual Control Commercial Microwave is its separate start button; a simple sounding addition which dramatically reduces damage caused to the microwave, essentially lengthening its lifespan. The high level of power that a commercial microwave oven is able to produce makes it particularly at risk of damage if it is operated without food inside; a situation that a separate start button greatly helps to avoid. Regale Microwaves suggested this model to Daewoo and helped them to design and introduce this safe, well-priced entry microwave oven which is user friendly.